Whether in the visible strands of urban life, like deteriorating infrastructure and housing, or the invisible heartache of poverty and deprivation, it is the urban administrator who faces the most difficult task today. The local body is responsible for delivering some semblance of a decent life to its citizens even against a million odds. Therefore, strengthening the delivery capacity of urban administrators and elected representatives is crucial for harmonious civil and environmental governance. One of the best ways to tackle a situation like this is to strengthen the human resource pool by creating efficient urban mangers. In this context, Centre for Environmental Law (CEL), WWF India has initiated an academic programme titled ‘PG Diploma in Urban Environmental Management’. Last date for submitting applications is 15 May, 2019. 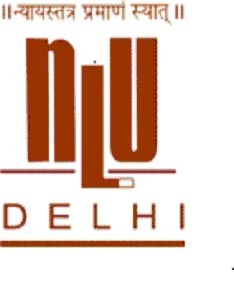 CEL entered into a Memorandum of Understanding with National Law University, Delhi (NLUD) to jointly run the programme which is specifically designed for the benefit of students as well as urban administrators, urban mangers and working professionals involved with improving living conditions and quality of life in urban areas. The course is offered in both ‘distance and ‘online’ mode of study. The new interdisciplinary programme is aimed towards strengthening the professional capacity and developing a human resource pool of efficient urban managers and administrators by providing an in-depth knowledge and understanding of the existing urban laws, by-laws and policies. Not only will the programme make the learners familiar with the existing legal and policy prescriptions, but will also provide them with practical faculty for addressing crucial urban problems at both policy and implementation level. Provide comprehensive knowledge of the existing urban legal and policy framewoks to the learners. Enable learners to propose such changes as are necessary in these laws to find convergence with urban environmental management practices. Facilitate a platform for managing the current urban issues in a broader perspective of environmental governance and sustainable development. Train the urban professionals to optimally utilize financial and technical resources or materials ensuring good governance locally, regionally and nationally.